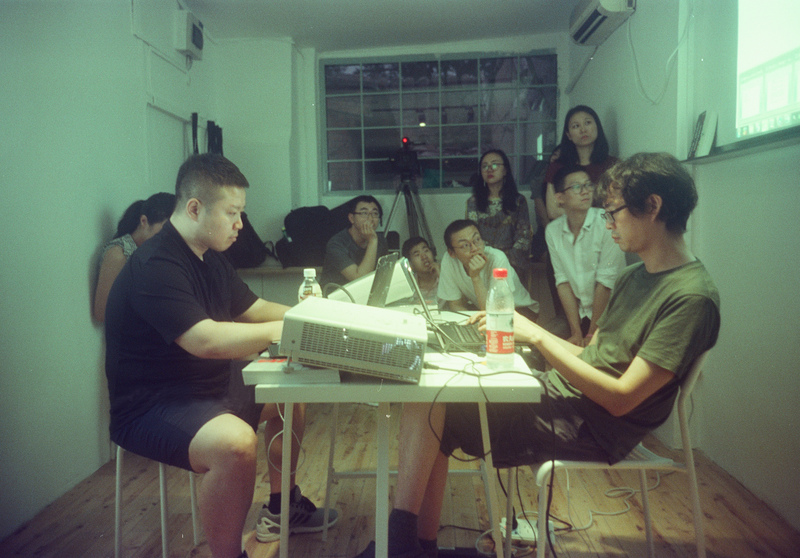 Monkey Grammarians is a performance carried out at Salt Project Beijing 2017. In this piece, Wang Tuo invited poet Wang Wei to have a public conversation, by utilizing their identities in the reality to connect the story of Cain and Abel with the fratricide of Yu Hua’s early novel A Kind of Reality. In the piece, they firstly adapted Yu Hua’s novel into a rival show and recorded the lines, and then communicated through the Internet silently while the recording was played out simultaneously. During the process, images, words and concepts of subconscious out of the search engine were exchanged, as well as the different senses of time and space were revealed via the languages on different mediums.